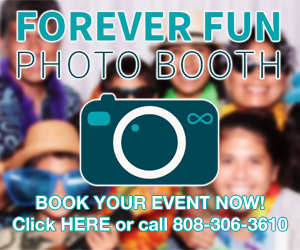 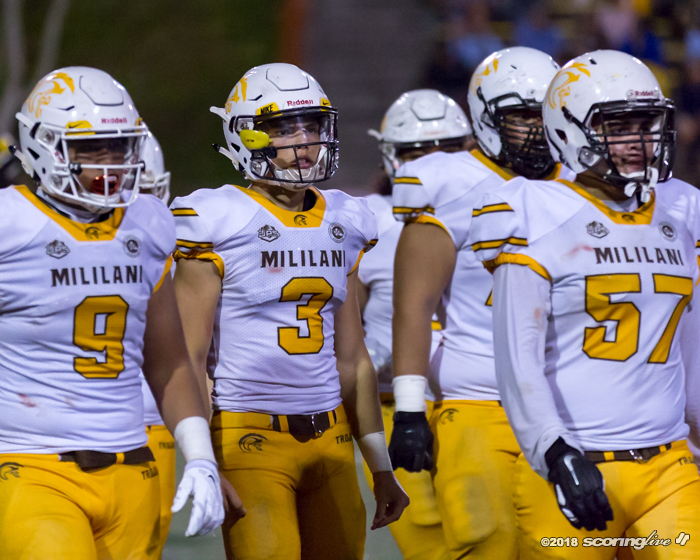 MILILANI — No. 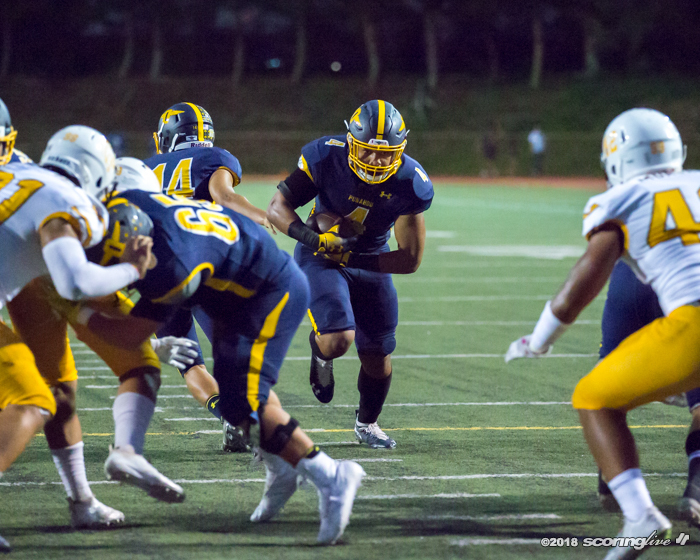 4 Punahou got a strong defensive effort to knock off No. 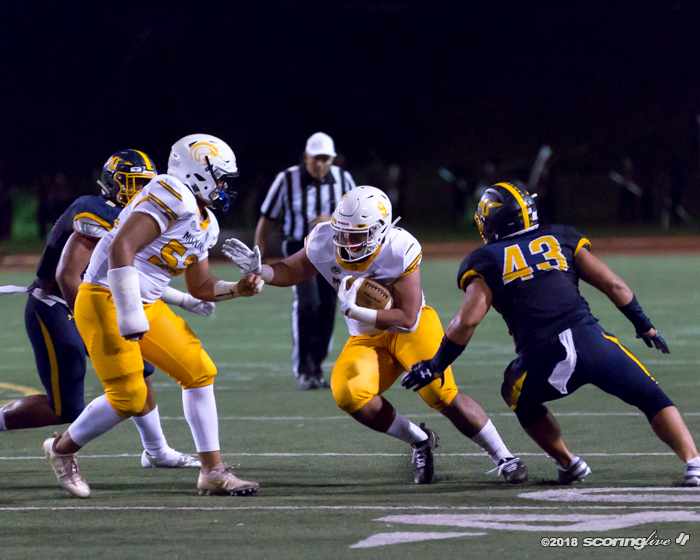 3 Mililani, 43-21, Saturday night at John Kauinana Stadium. 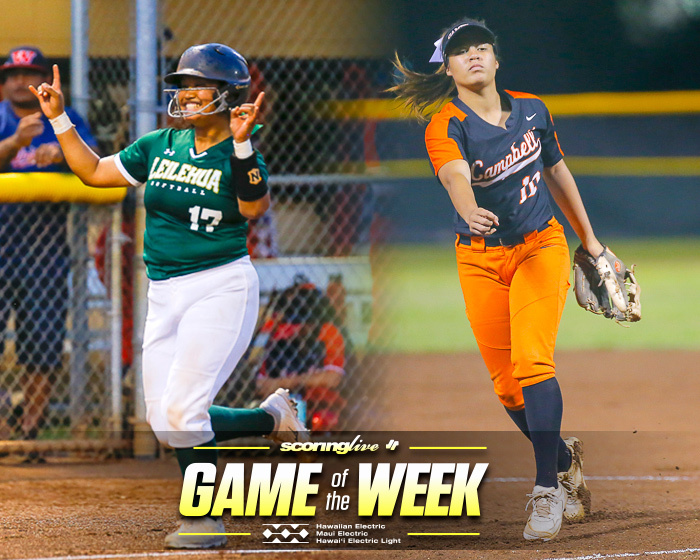 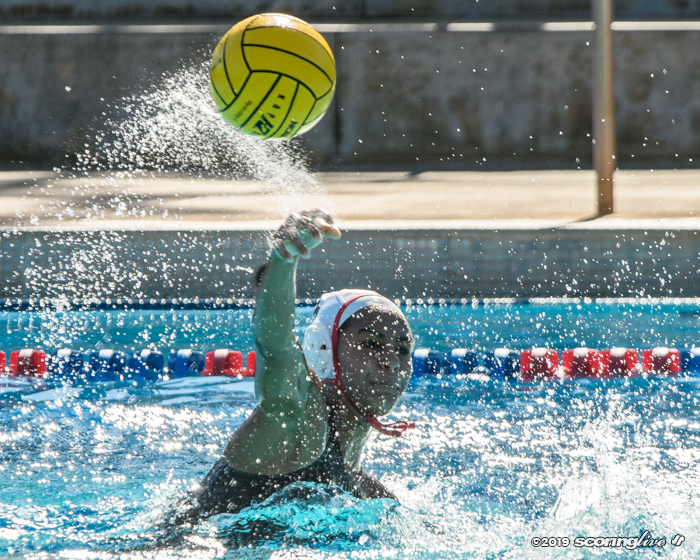 The Interscholastic League of Honolulu-Oahu Interscholastic Association interleague win was crucial for the Buffanblu (3-1) because all their Open Division games count in the ILH standings. 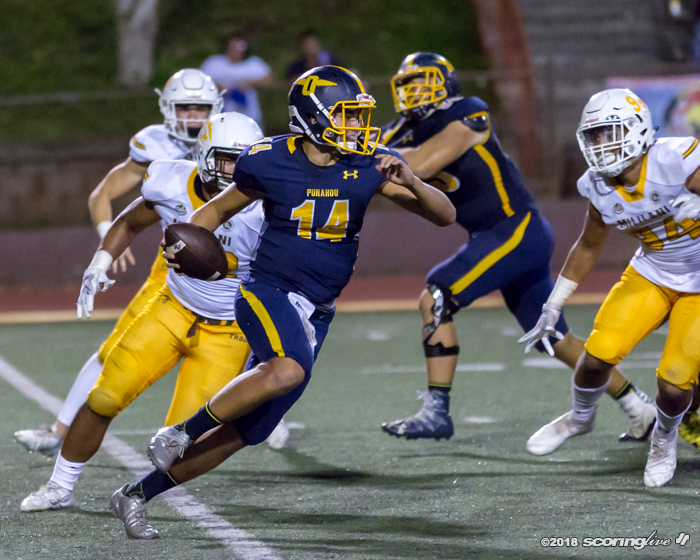 For the Trojans (3-2), though, the loss does not affect their standings in the OIA. 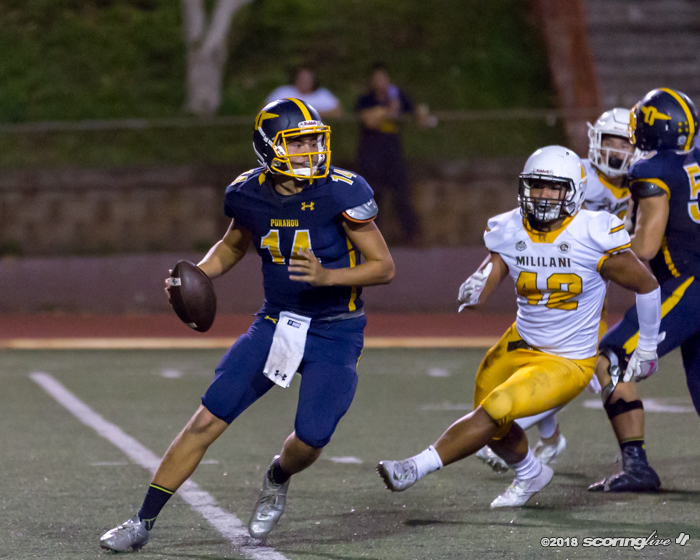 "We were very concerned coming in," Punahou coach Kale And said. 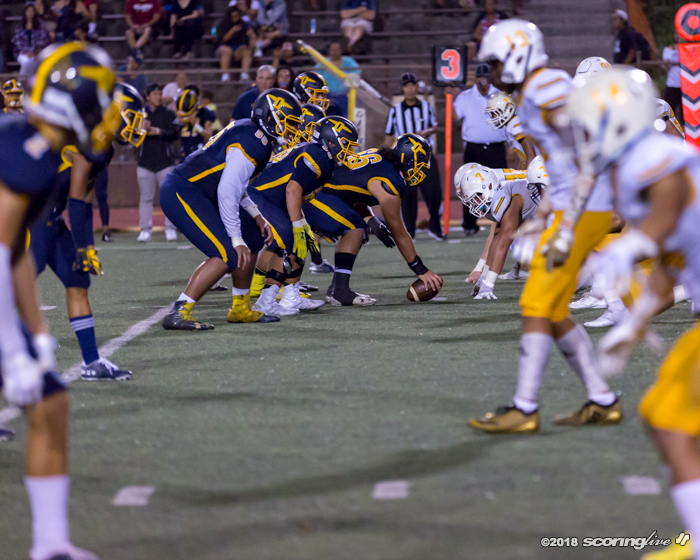 "You can't call (the Trojans) a sleeping giant; they're a giant. 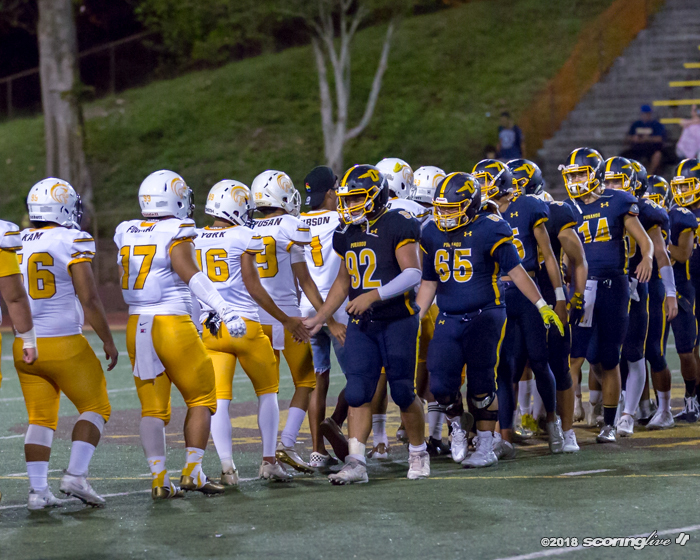 It was great for our kids to get the win. 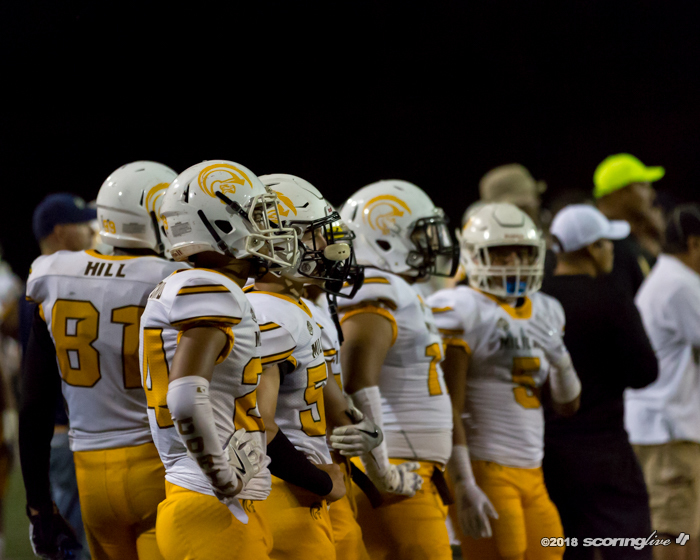 It's great to play a great team and feel where you're at. 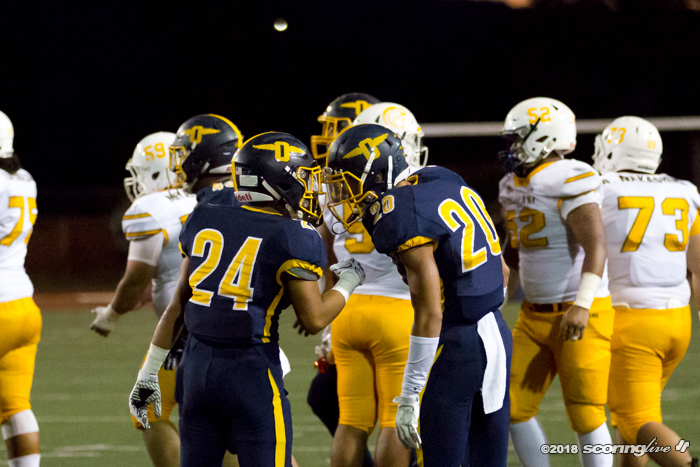 We did well, but there's a lot we could get better at." 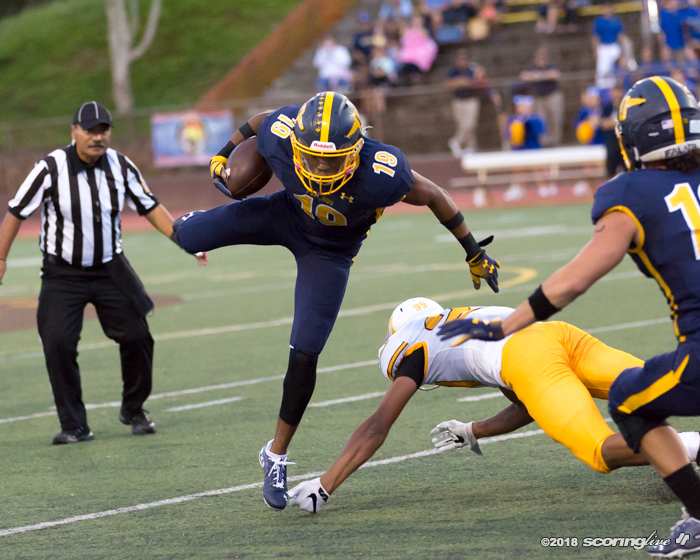 Meanwhile, it was a rough night for the Trojans. 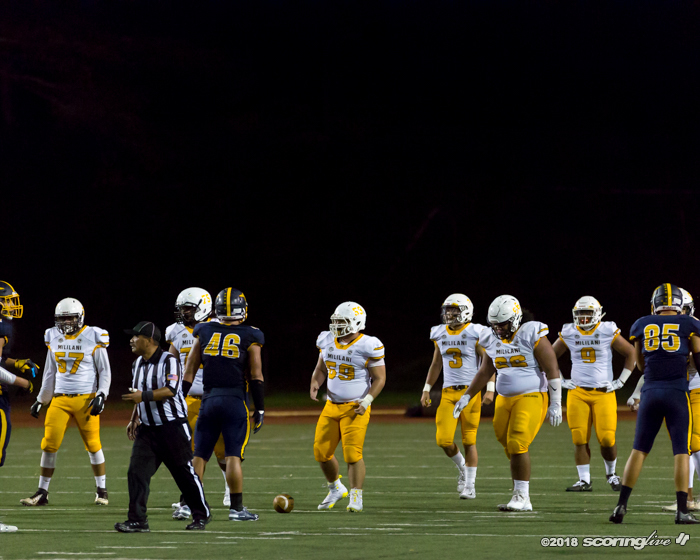 They turned over the ball four times, two of which led to Punahou scores. 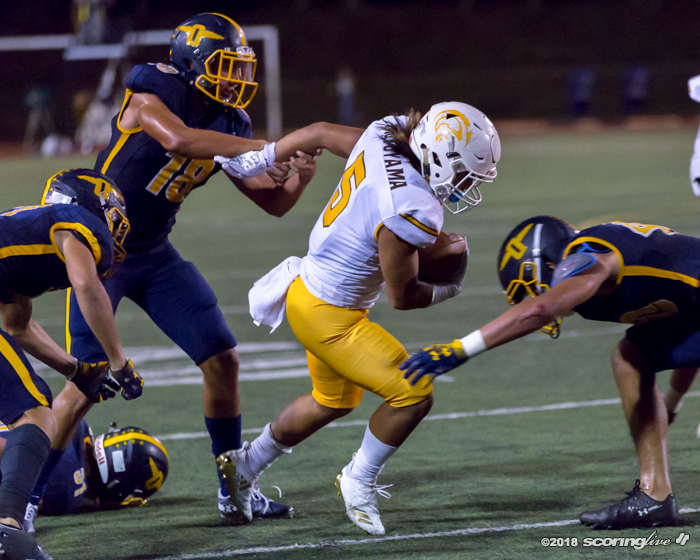 They also were penalized 15 times for 118 yards, including nine that were mental-type fouls (four encroachments and five illegal procedures). 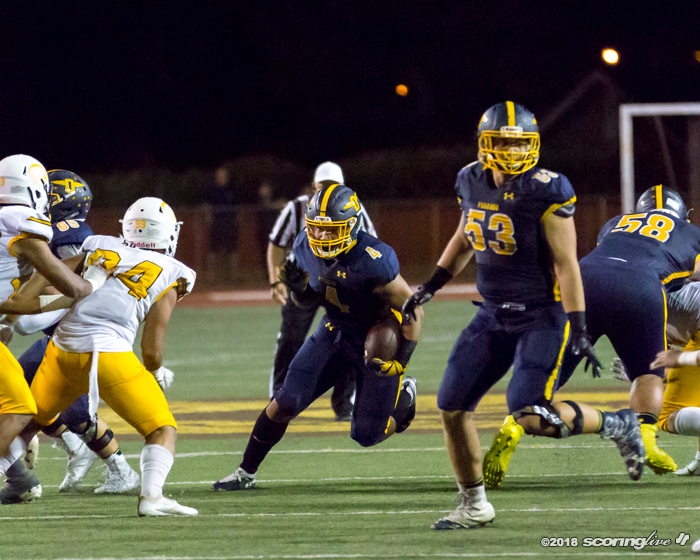 Plus, the Trojans were burned by four long scoring plays in the second period that totaled 273 yards alone. 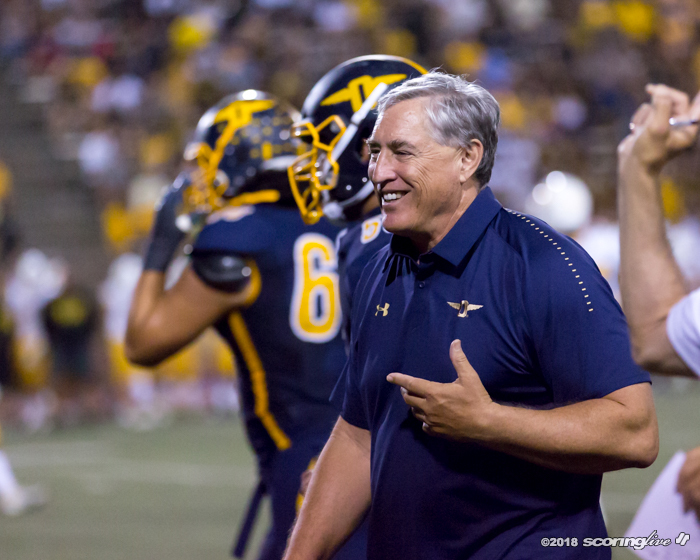 "We have to do a better job coaching," Trojans coach Rod York said. 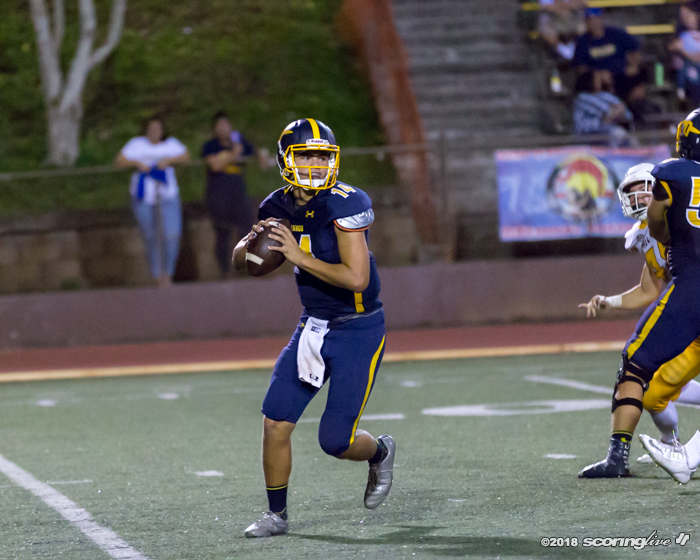 Punahou quarterback Hugh Brady completed 18 of 35 passes for a season-high 370 yards and a season-tying four TDs. 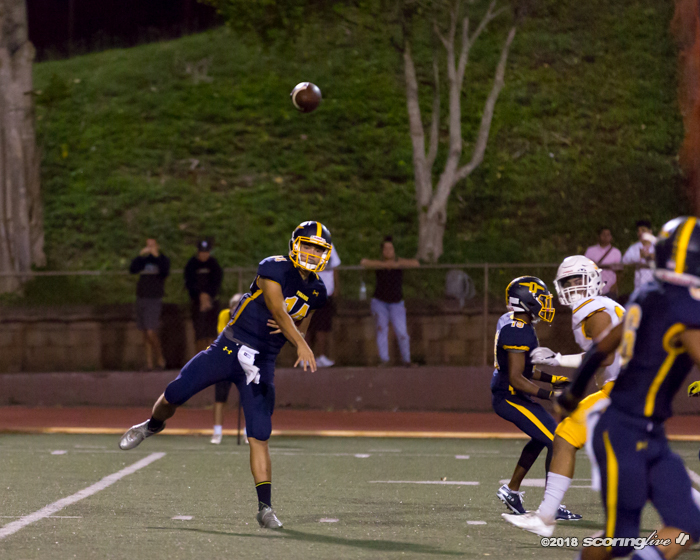 He had TD passes of 75 and 52 yards to Koa Eldredge and 88 yards to Les Falatea. 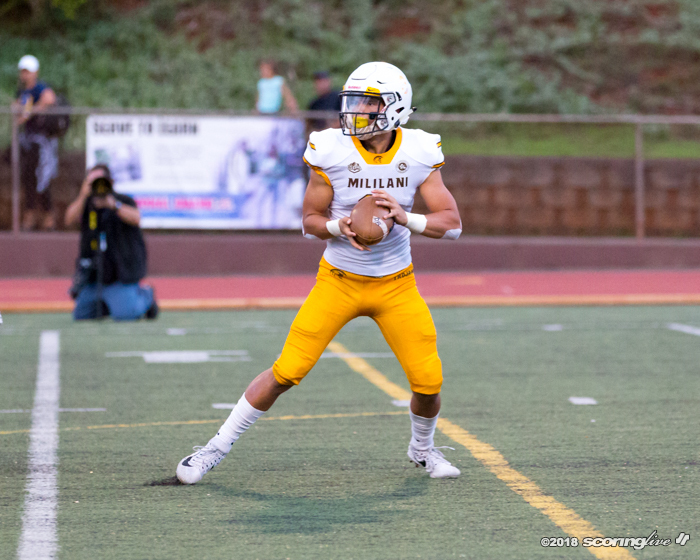 Meanwhile, Mililani's Dillon Gabriel completed 24 of 48 passes for 302 yards and two TDs. 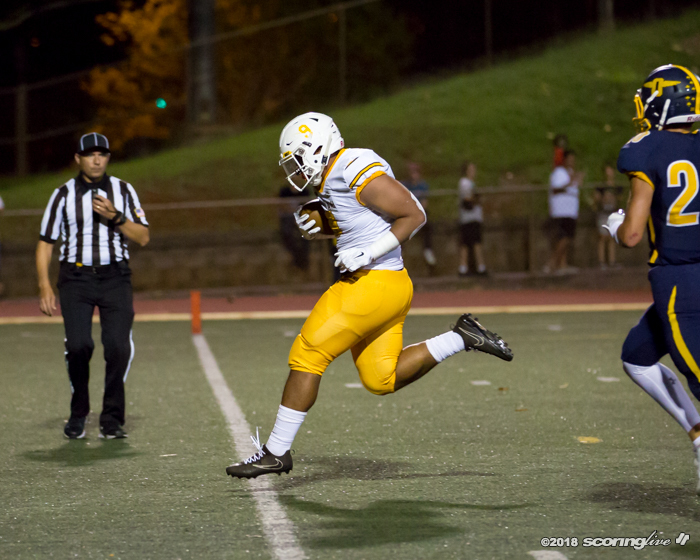 But he was intercepted three times, twice by Trent Shiraki and once by Kaulana Makaula. 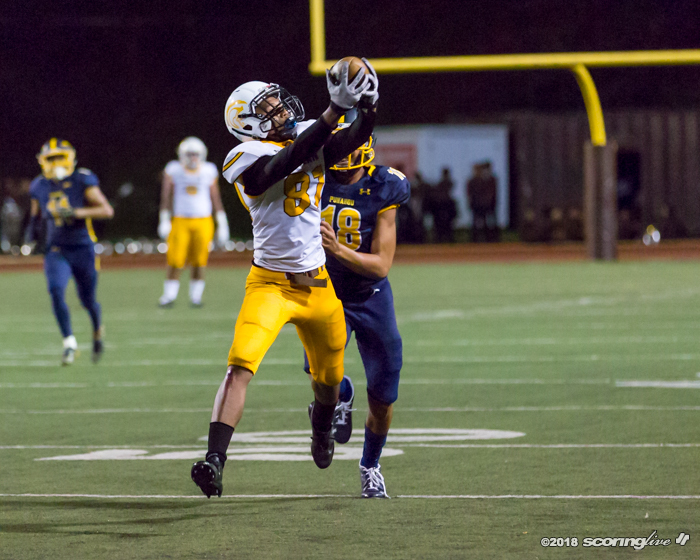 Shiraki took one of his two picks for a TD that was nullified by a penalty. 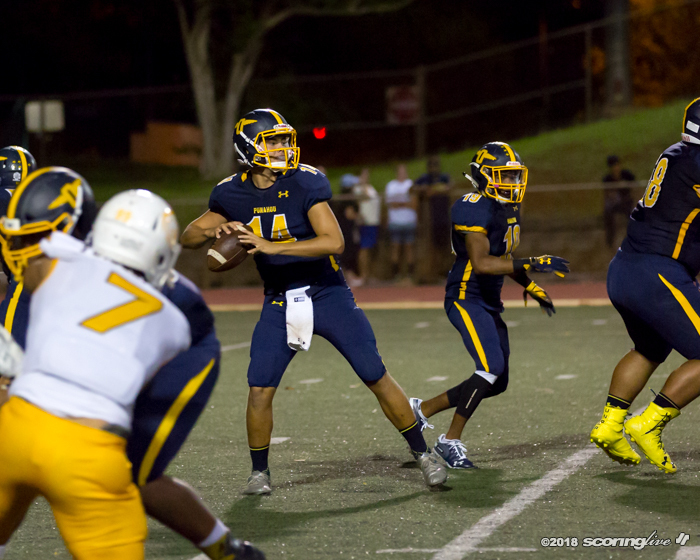 Still, both turnovers were recycled into Punahou scores. 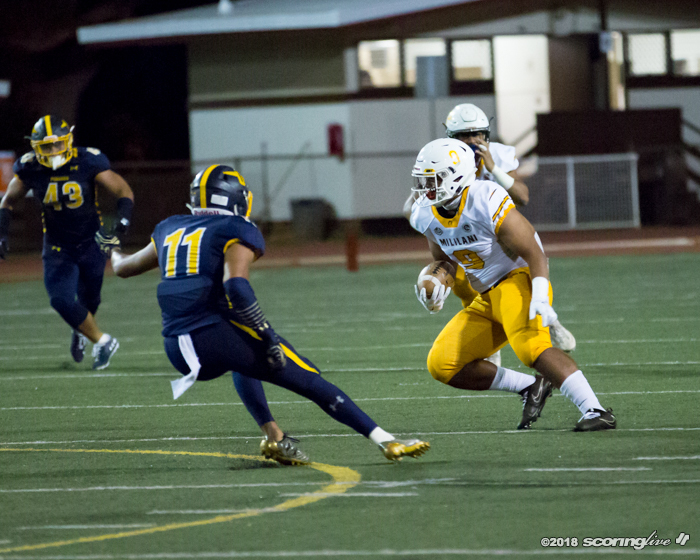 Besides the interceptions, Gabriel was sacked six times, three by linebacker Dillon Lundberg. 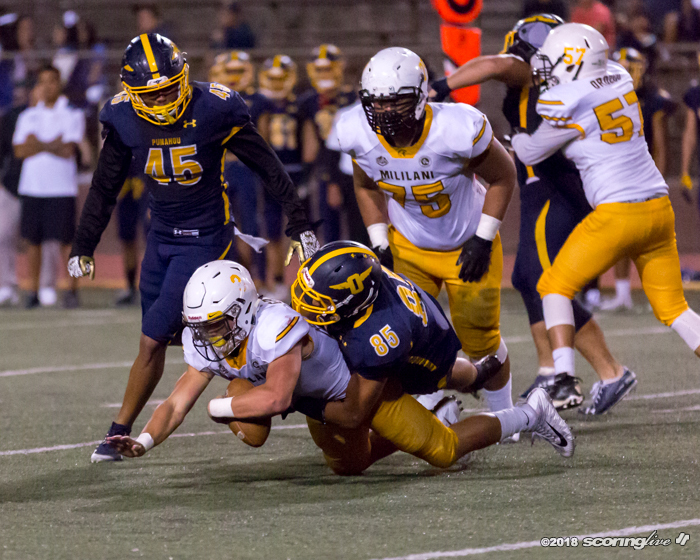 "Thanks to the guys up front, the D-line, for holding their guys, allowing us (the linebackers) to make plays," Lundberg said. 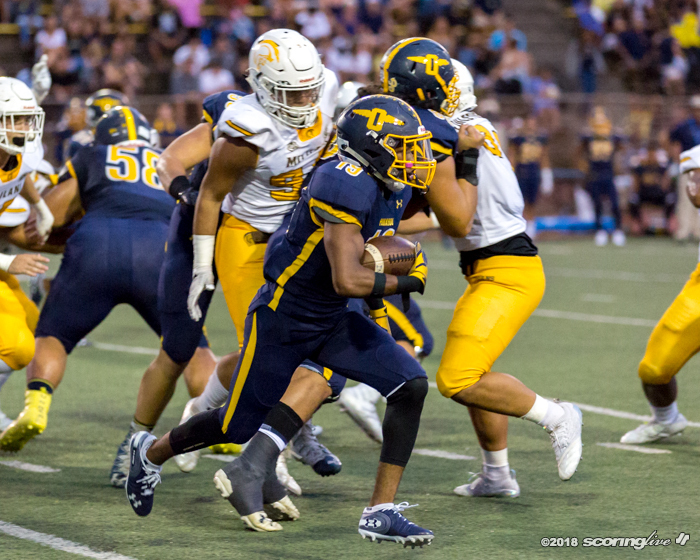 The game started off close. 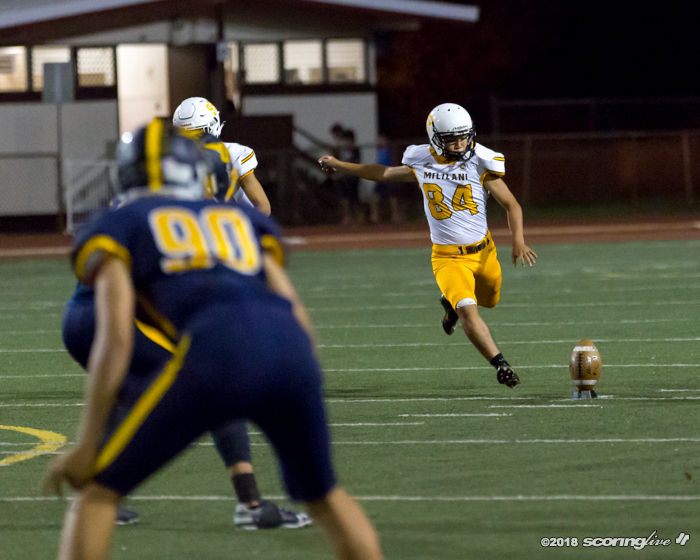 Shiraki's first interception of the game was returned to the Mililani 5 to set-up Brady's 12-yard TD pass to Falatea. 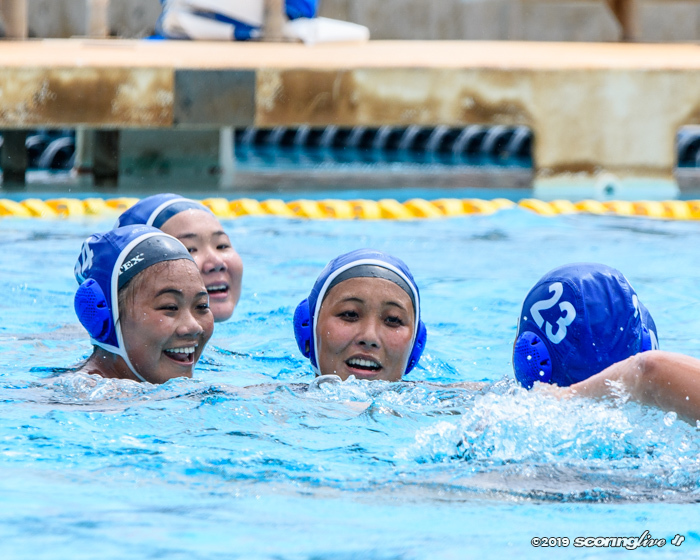 Tim Horn's PAT put Punahou ahead, 7-0, with six minutes, 18 seconds in the first period. 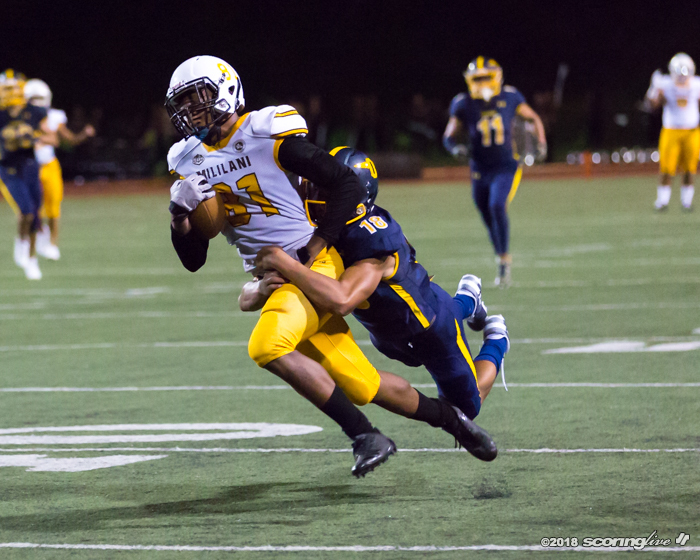 The Trojans evened the score on a 21-yard TD run by Kilifi Malepeai and Liam McGehee's ensuing PAT with 2:51 left in the first. 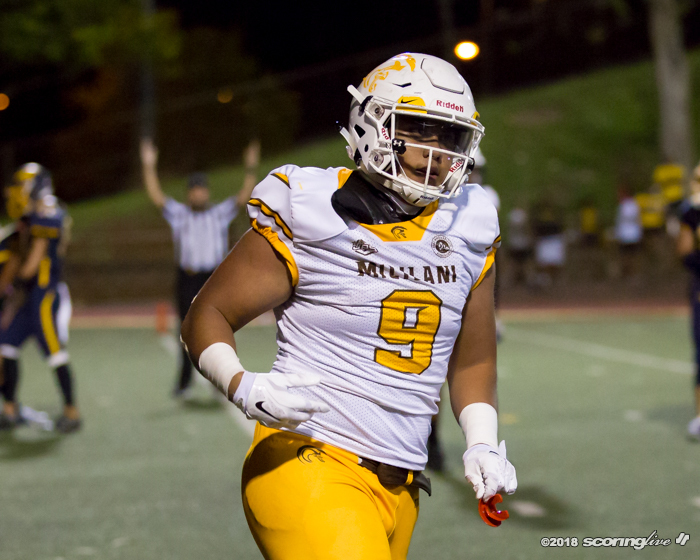 In the second period, an interception by Mililani's Darius Muasau set up the Trojans' second score of the game, a 3-yard TD pass from Gabriel to Maka Hill. 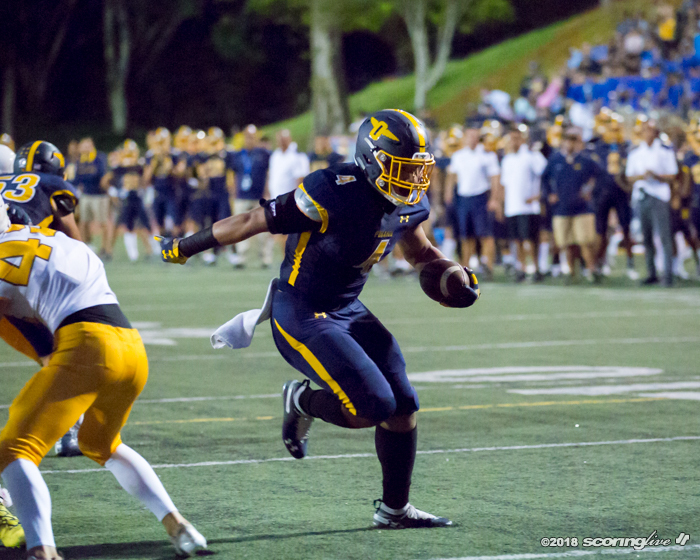 That gave the Trojans a 14-7 lead that was not only short-lived, but evaporated in a hurry. 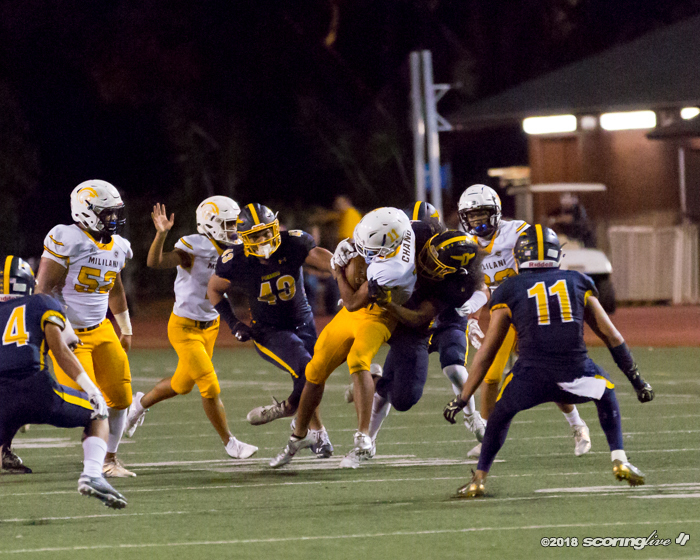 Following the ensuing kickoff that resulted in a touchback, an encroachment penalty on Mililani put the ball at the Punahou 25 on first down. 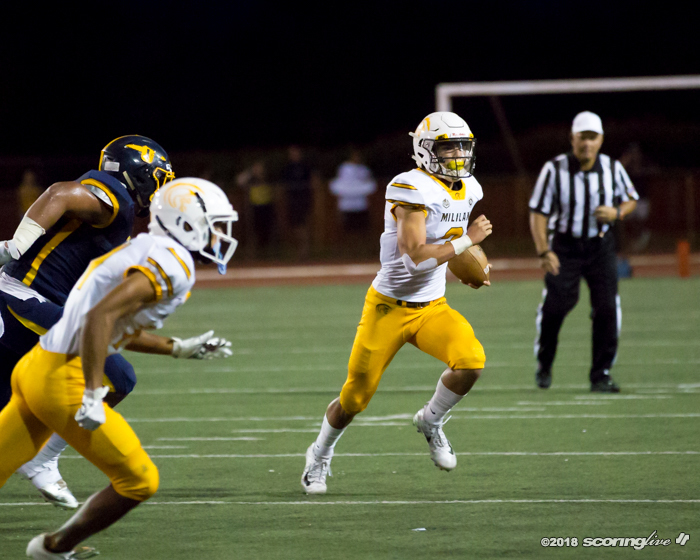 Brady found Eldredge open on the left sideline for a 75-yard scoring strike to tie the game at 14. 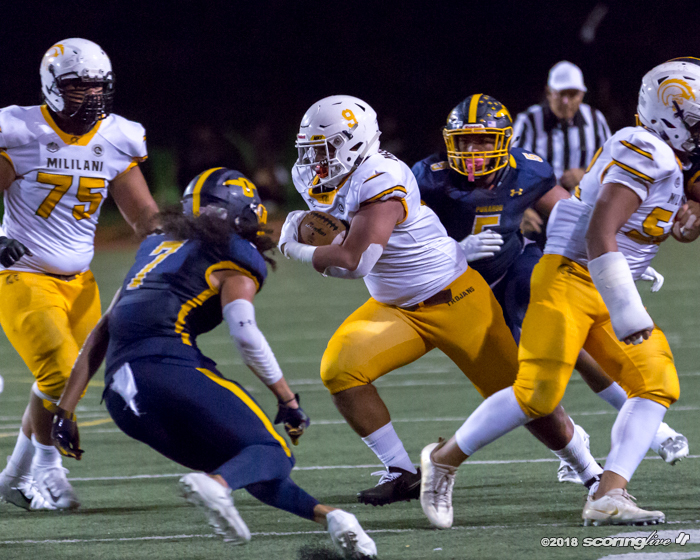 Mililani's next series was stopped on a fourth-and-1 at the Punahou 38 when safety Alakai Gilman stopped Malepeai for a no gain. 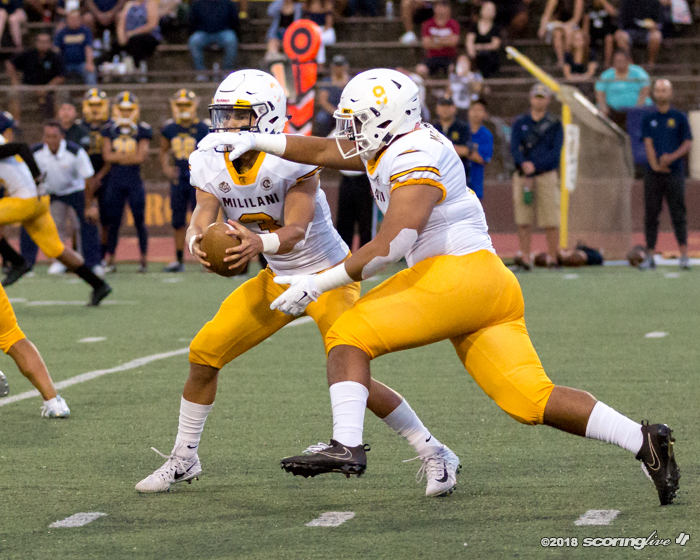 Again, an encroachment penalty against Mililani gave Punahou five more yards to its 42. 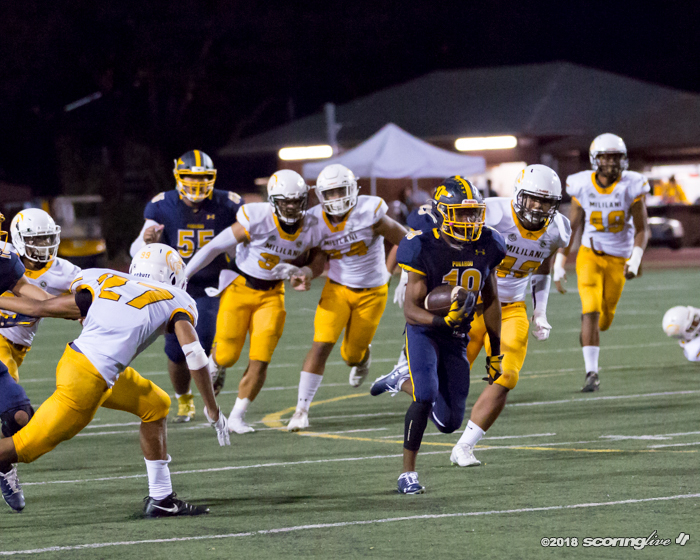 On first down, speedy running back Vincent Terrell raced 58 yards for a TD to put Punahou ahead, 21-14. 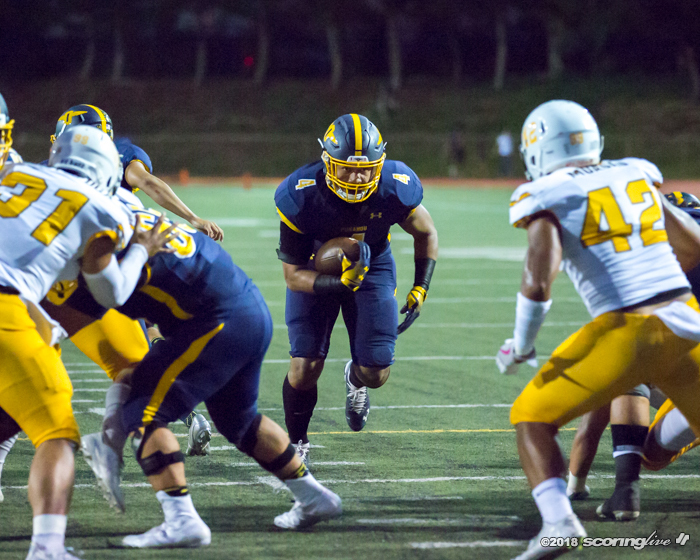 The Trojans' next series was halted by a turnover. 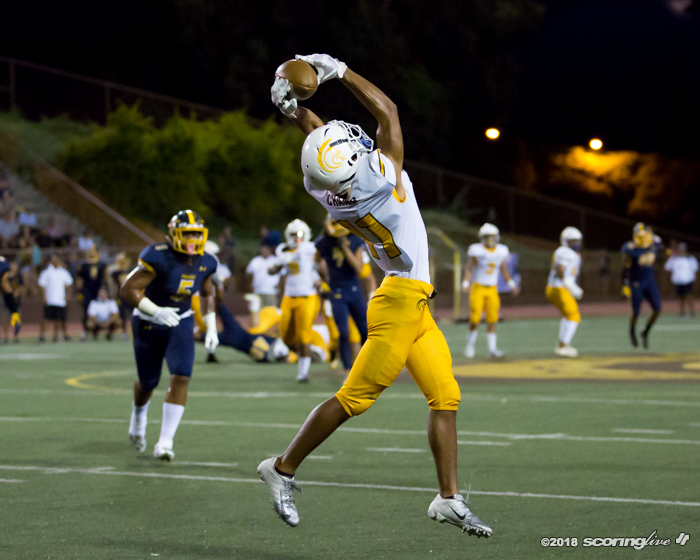 Shiraki's second interception was initially returned 85 yards for a score, only to be nullified by a penalty after the pick. 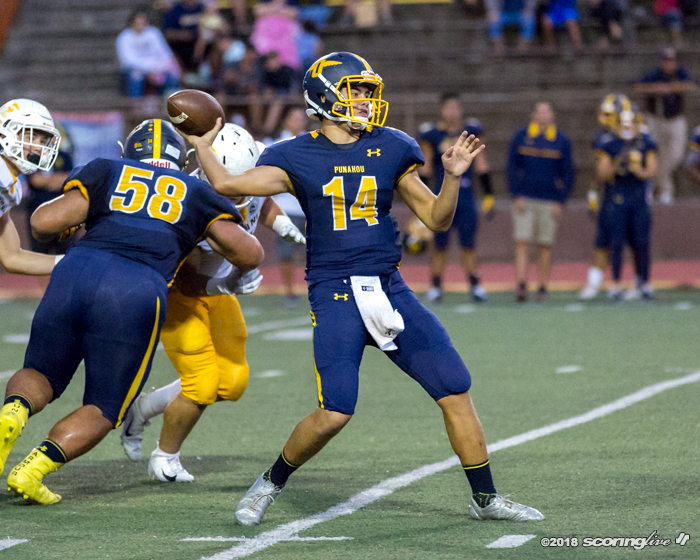 The ball was placed at Punahou's 20, but three plays later, Brady hit Eldredge on a 52-yard TD pass to make it 28-14 with 3:35 left in the half. 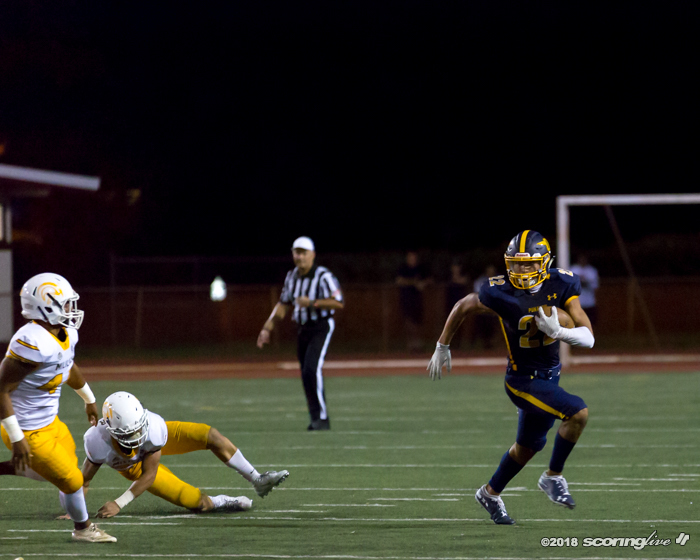 Punahou was not done with big plays yet. 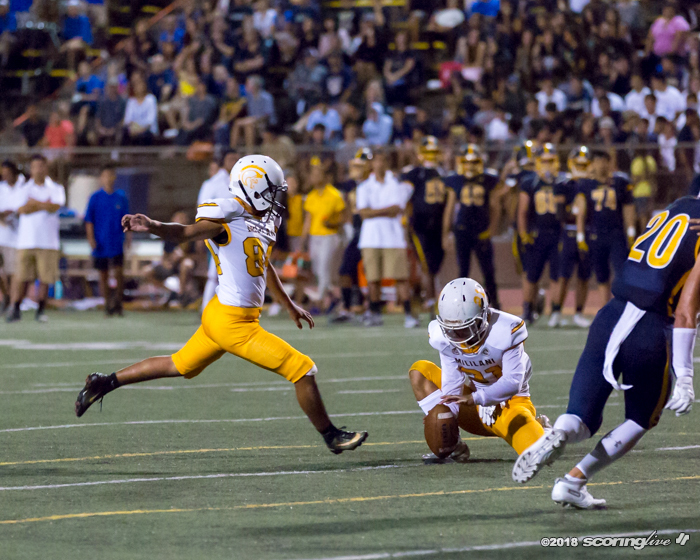 A 47-yard punt from Mililani's Elijah Foki put Punahou at its own 8. 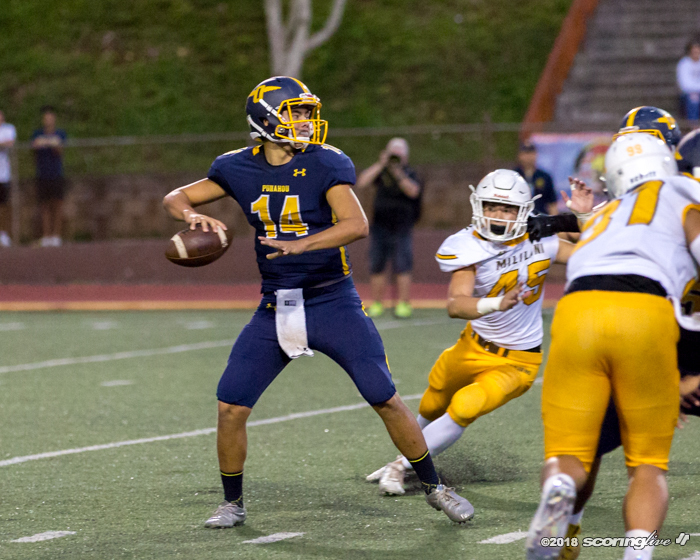 Three plays later, Brady connected with Falatea for an 88-yard TD pass to give Punahou a 35-14 lead at the break. 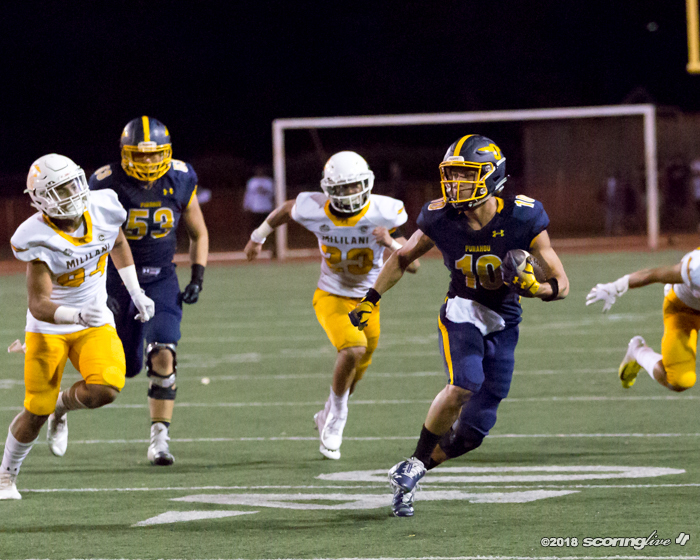 The Trojans improved defensively in the second half. 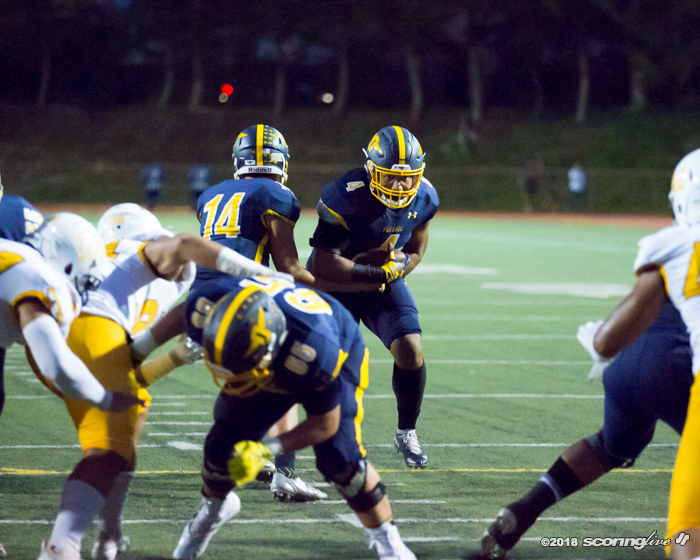 On offense, they managed a staggering 15 first downs, but only had one TD to show for them. 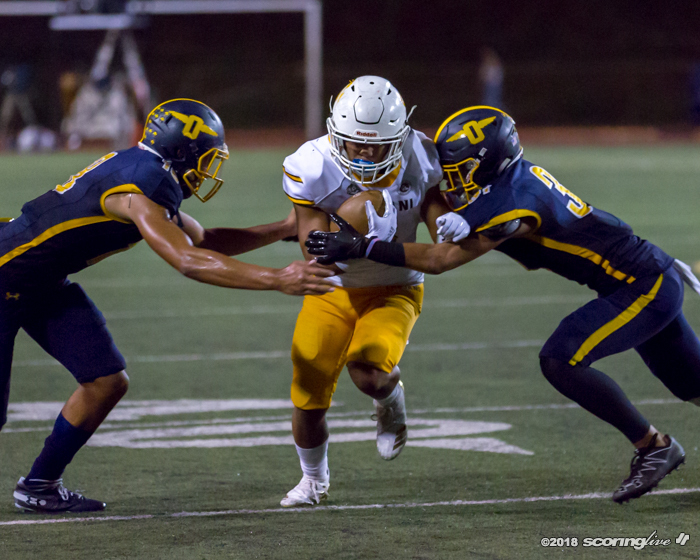 On their first series, the Trojans scored on a 34-yard pass from Gabriel to Ryan Chang to make it 35-21 with 6:40 in the third period. 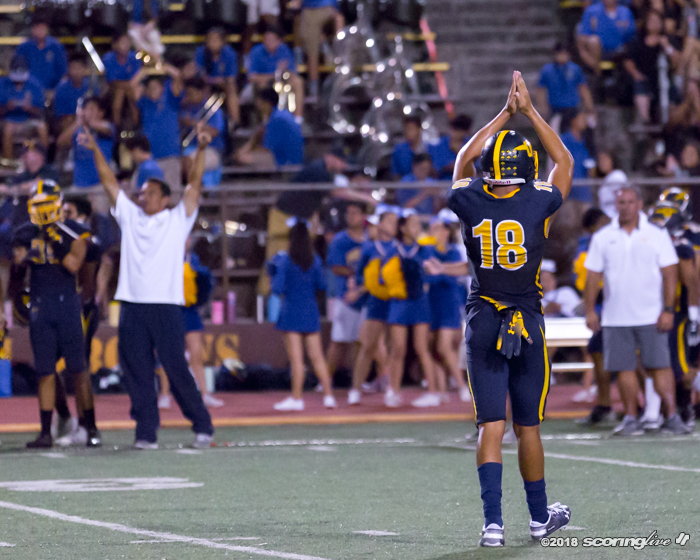 That gave the Trojans fans some hope. 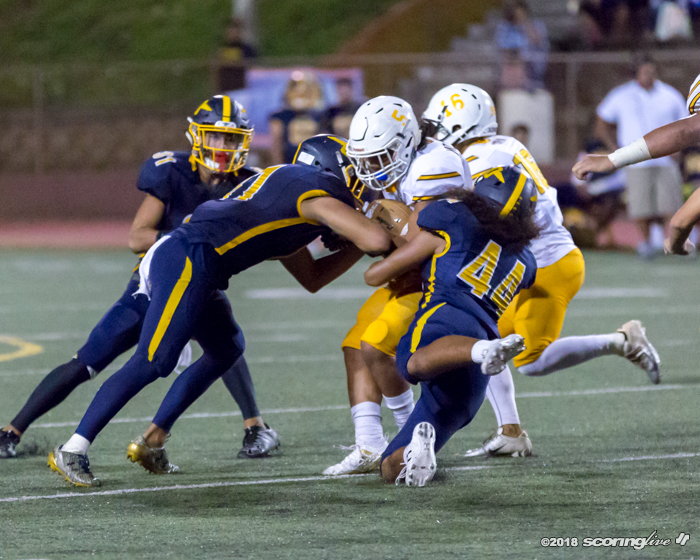 But later in the third, a high snap from punt formation by the Trojans sailed into the end zone for a safety, increasing Punahou's lead to 37-21. 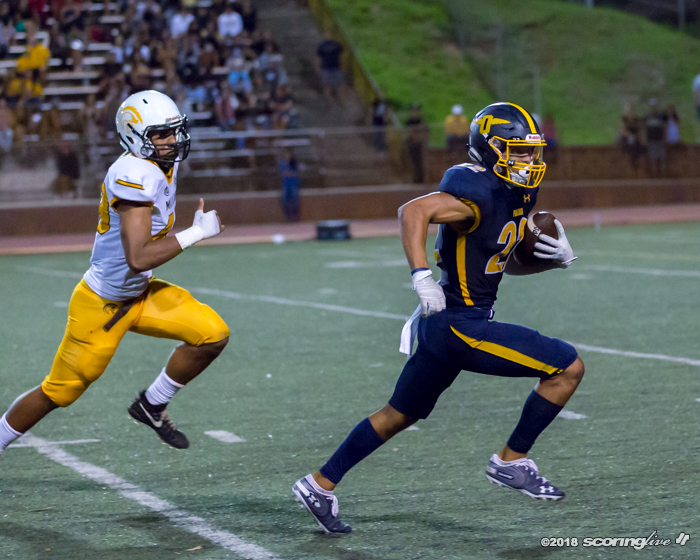 Punahou scored their first TD of the second half with 1:48 left in the game, when RB Sitiveni Kaufusi scored on a 2-yard run to make it 43-21. 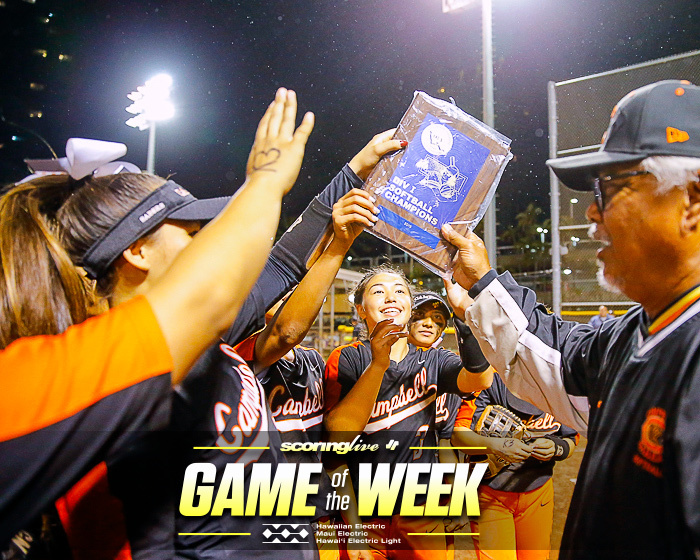 "This was pretty big, confidence-wise," Lundberg said, "because they were ranked higher than us and we took them down." 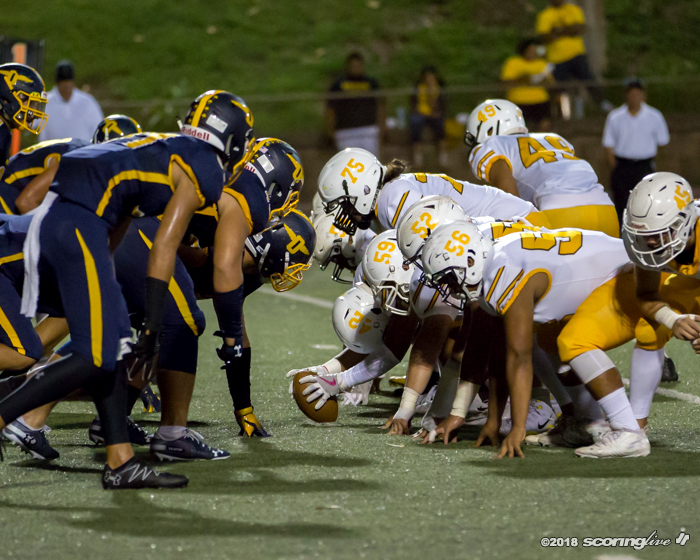 Punahou will take on No. 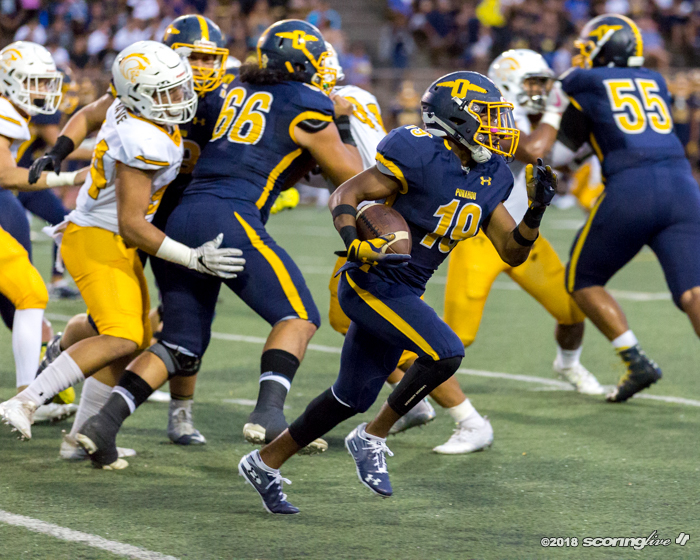 1 Saint Louis Saturday at Aloha Stadium in a much-anticipated contest of perennial contenders. 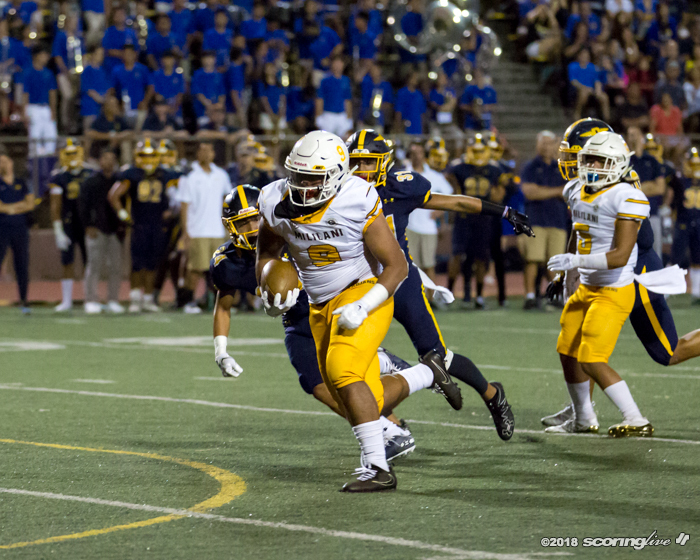 On that night, the Trojans will host No. 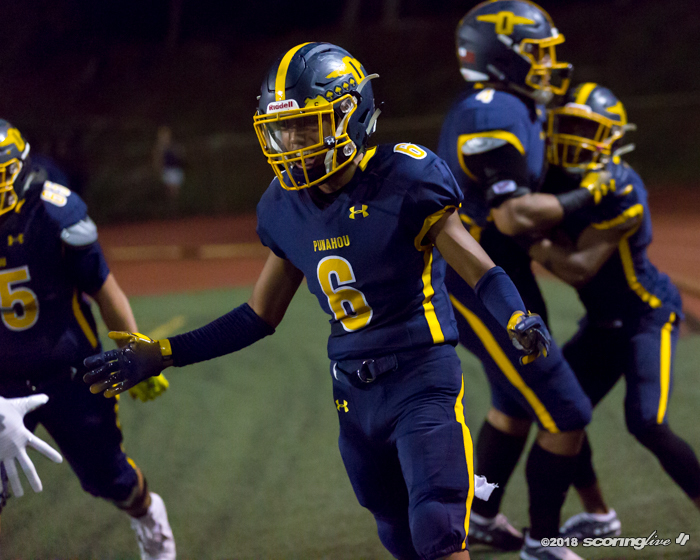 5 Campbell. 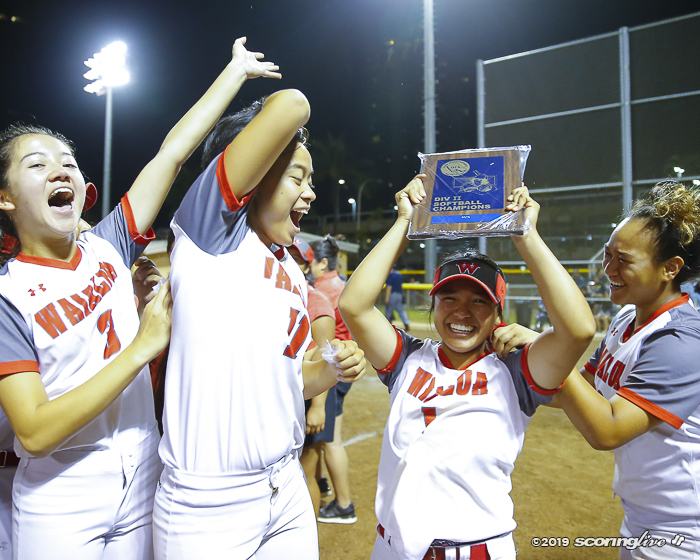 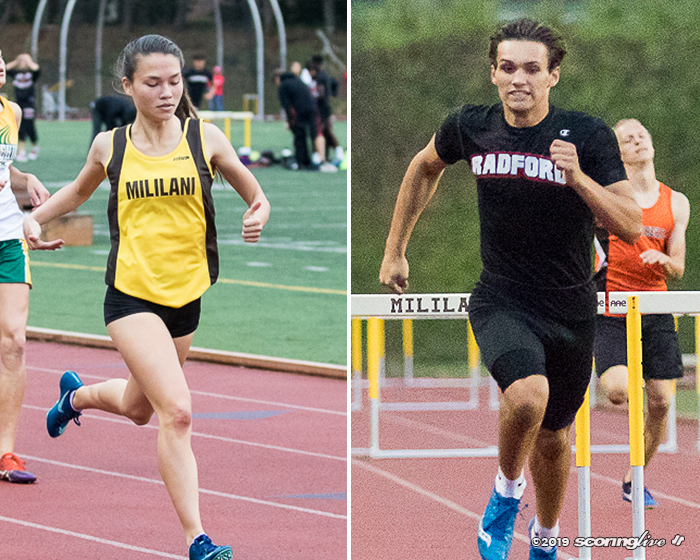 The Red Raiders won the previous nine OIA championships prior to Saturday.